Techwars Global Conflict is a Free-to-play , New Action Shooter , Multiplayer Game featuring a detailed and complex destructibility of mechs . 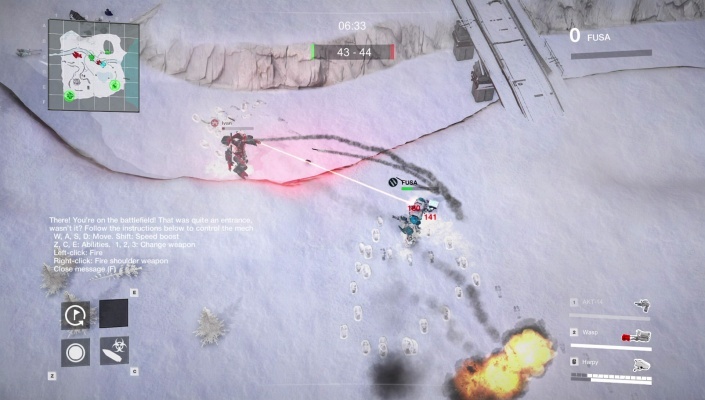 TechWars : Global Conflict is the world’s first isometric mecha MMO Action with direct control. Apart from the simple reaction speed, to win in every battle, you will need an impeccable sense of tactics and ability to skillfully use weapons, robots, and peculiarities of the landscape of the area. With these skills, you will be able to destroy dozens of enemies ! The story component is based on an alternative history from Mikhail Vlad’s novels. According to the plot, the world slid into anarchy in 2050 and now there is only one law – the law of force that is based on cutting-edge technologies. Russian ‘Dominion’ and American ‘KATO’ used their armies of giant war robots to clash in an apocalyptic confrontation of supercorporations for control over the planet . 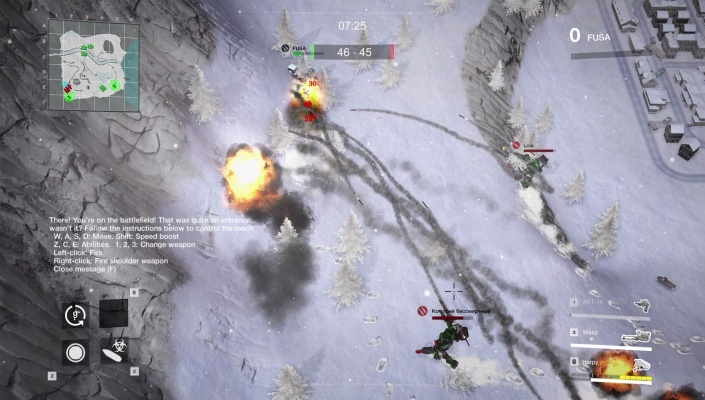 The player will have to become a pilot of one of the factions and take part in the battle for control over a number of locations. The choice of a faction plays an important role. Each faction has its global technologies. The Dominion robots can cause devastating air strikes, while KATO mechanoids can protect themselves from damage for a few seconds. - Scouts - they are vulnerable but very fast; they can quickly find weak spots in enemy defenses and report such to the allies . - Stormtroopers: the main striking force on the battlefield; they are powerful and tough . - Destroyers - slow but extremely dangerous at long-range combat . - Support class - weak individually, but indispensable for a group due to the ability to restore armor and supplies . Each player can own several robots at once and use them depending on the game situation. 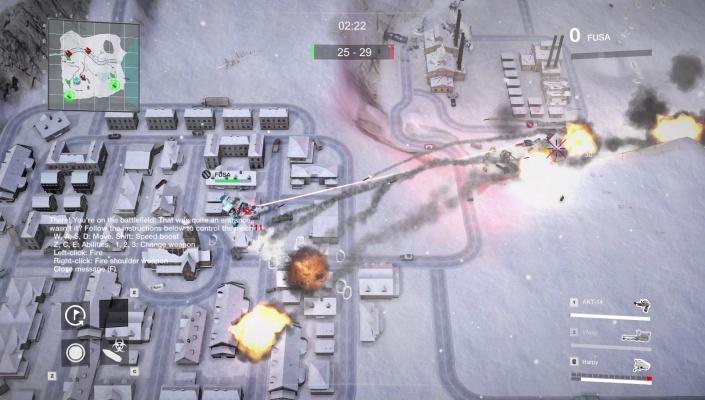 The destruction physics of TechWars - Global Conflict was a special focus of developers. Almost all the objects on the map can be destroyed. Partial destruction of objects can be used tactically to create temporary shelters and enemy safe shooting zones. 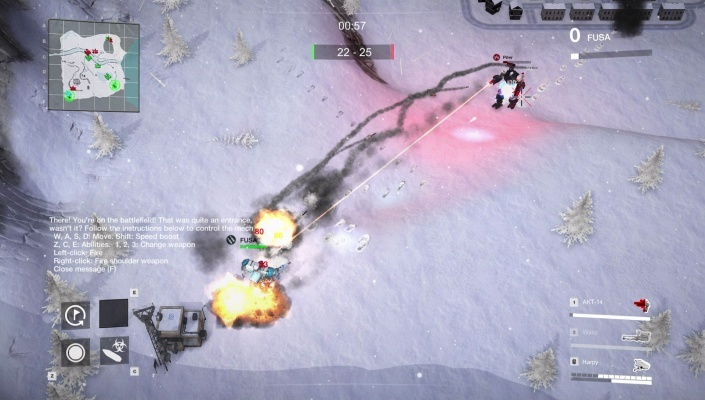 All this will be a pleasant addition to the main thing – destroy all enemies in sight. And by the way, as you're there thinking, others are already catching fun ! - Any combat unit can be improved in several ways to gain fantastic superiority. There is a separate modification system for all kinds of weapons. However, significantly improving some characteristics will cost you a weakening of others. - Mechs behave realistically. 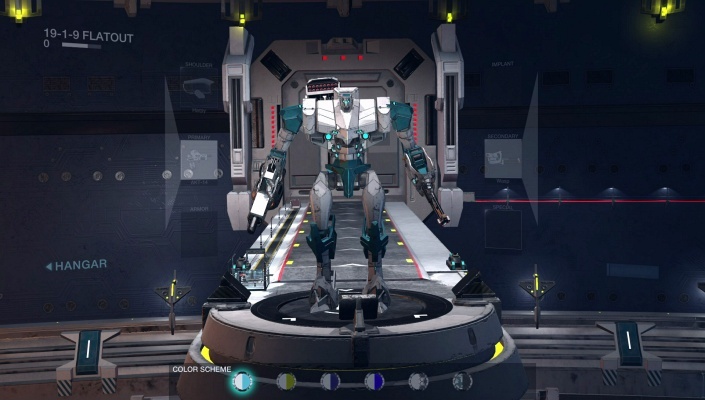 For example, injury to the right hand makes it impossible for the robot to use a gun attached to it; if the left hand is injured, the robot will not be able to use short-range weapons on it . Players can also interact with each other outside the battlefield – they can make friends, unite in clans or find deadly enemies .